Have you ever wondered why cars have spoilers or why your hand ‘floats’ when you hang it out the window of a moving car? These mysterious interactions between objects and air have long been studied and are known collectively as aerodynamics. The term aerodynamics comes from two words: aero (air) and dynamics. Dynamics is a branch of mechanics concerned with the motion of a body under the action of forces. So, aerodynamics essentially deals with the motion of air and how it interacts with other fluids or solids. Aerodynamics is a branch of fluid mechanics. Aerodynamics basics -what are they? Using the principles of aerodynamics, you can systematically understand the forces that are acting on an object due to the movement of air around it. Drag and lift are the two principle forces. On a macroscopic level, by looking at the momentum of each air particle, it is possible to also predict the movement of air around objects. Drag is essentially air resistance. Drag is the force that a moving object feels when the flow of air around it becomes turbulent. Here is a simple example: Imagine riding a bike with a parachute attached. You will have to do a lot more work because the parachute adds drag. What is turbulent air and how is it related to drag? Before explaining this, it is important to understand that nature always tends towards chaos. Turbulence can defined as random movement of air particles. 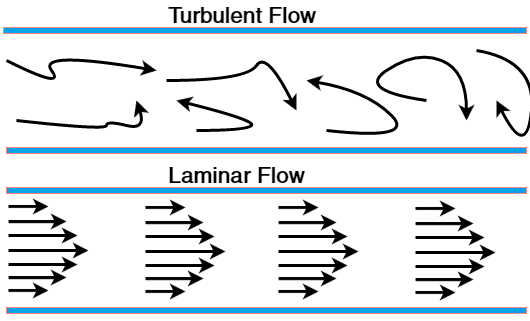 The opposite of turbulent air flow is laminar flow, where all the air-particles move in a continuous and predictable way (see diagram). Air particles will spend much less energy travelling through a laminar process than they will in a turbulent process. be characteristic of a turbulent flow. Obviously, the turbulent traffic flow is much less efficient than the laminar one. The amount of air turbulence generated is highly dependent on the geometry and the velocity at which an object is moving. For example, a truck will have more air resistance than a sports car, as its shape will generate more turbulence. By slowing or increasing the air velocity around an object, it is possible to change the pressure on the object. If there is more pressure on one side of an object, it will result in a force, which can propel the object. This principle is used on airfoils (cross section of a aircraft wing) to generate lift (see image above). Lift can accurately be calculated using the modern lift equation. 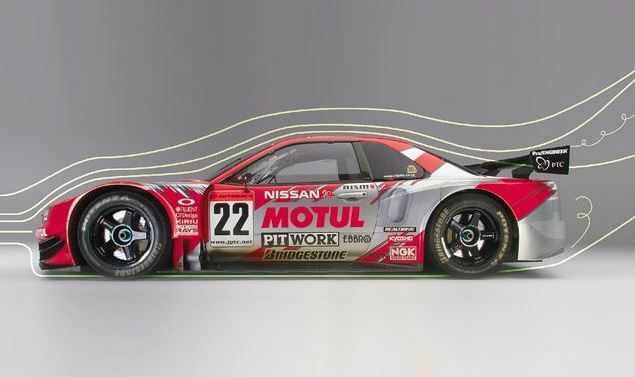 That’s the basics of aerodynamics, but there is a lot more to learn! The principles of aerodynamics are widely used in the automotive, aerospace and civil industries. Aerodynamicists try to optimise the the geometry of objects to make them more efficient. In civil applications, these principles are used to predict the flow of air within and around buildings. Once you understand the basics of aerodynamics, you will see their applications all around you, from aircraft wings to boats to turbine engines. Anderson, John David. Fundamentals of Aerodynamics. Boston [u.a. ]: McGraw-Hill, 2007. Print. Abbott, Ira H and Albert E. von Doenhoff. Theory Of Wing Sections. New York, N.Y.: Dover Publ., 1982. Print. Why are there so few female mechanical engineers?